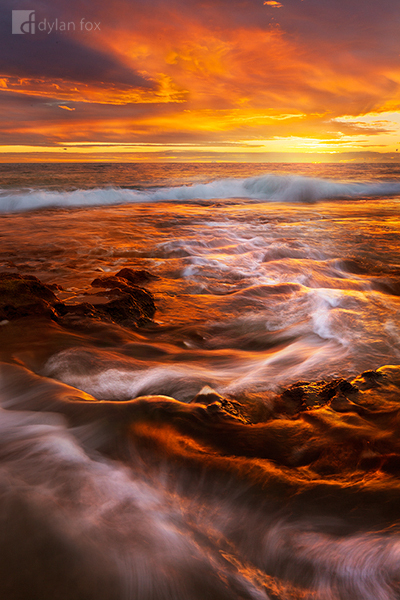 A stunning display of colour captured over North Beach, Western Australia. The colours on the horizon were spectacular and just glowing! I captured the white wash of incoming waves rushing back out to sea. I had made a number of attempts at this photograph before however had not seen it under light like this! Secure your limited edition, North Beach photographic print, 'Chase The Flame', by selecting your desired print size in the menu to the right.